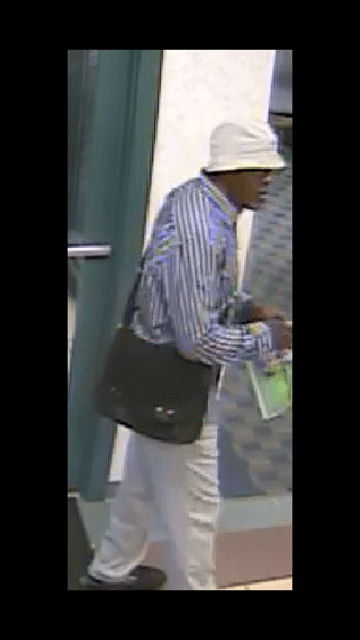 The Dover Police Department is re-releasing the details and new images from the Dover Federal Credit Union bank Robbery that occurred on Friday, May 16th, 2014. Details of this case can be found below the newly released images. 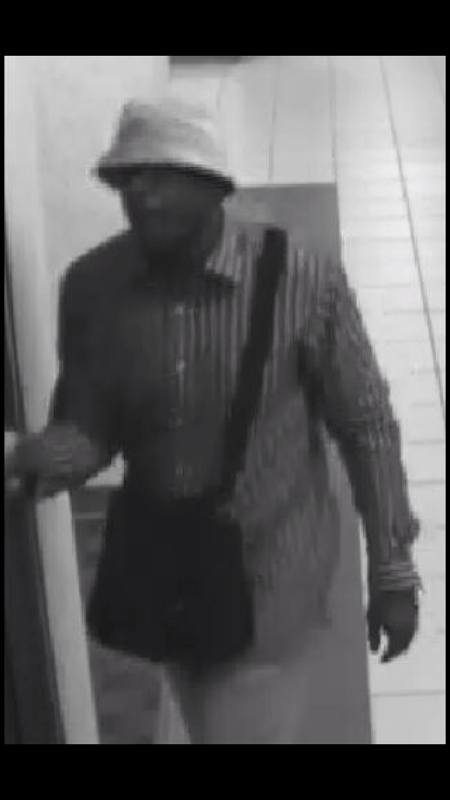 The department is seeking the assistance from the public to identify the suspect. 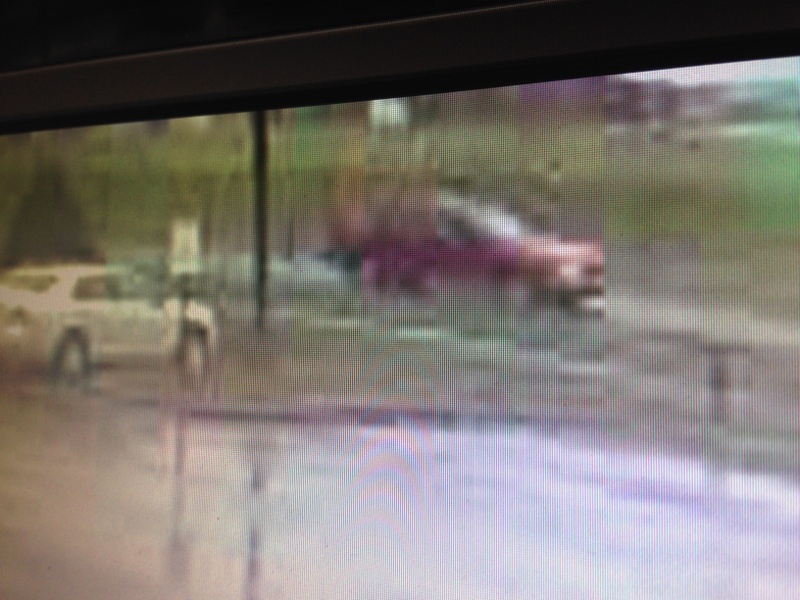 The red SUV style vehicle was captured on area surveillance when the suspect fled the bank. Anyone with any information is asked to call 302-736-7111. Callers may remain anonymous. Tips can also be submitted to law enforcement through tip lines maintained by Delaware Crime Stoppers at 1-800-TIP-3333 or on-line at www.tipsubmit.com. The Dover Police Department is investigating a bank robbery that occurred on Friday afternoon. Police responded to the Dover Federal Credit Union located at 225 Saulsbury Road, after a suspect robbed the location. At approximately 2:05PM, the suspect entered the bank through the main lobby and entered the line for the bank tellers. 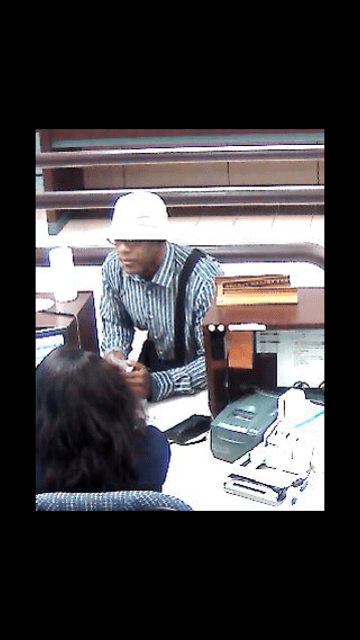 The black male suspect approached a teller and displayed a note demanding money from the teller. The suspect then fled from the bank with an undisclosed amount of cash in a southeast direction, through the Blood Bank of Delaware parking lot. The suspect then entered what appears to be a red in color SUV that was parked facing westbound on Clara Street, just east of the Blood Bank of Delaware building. 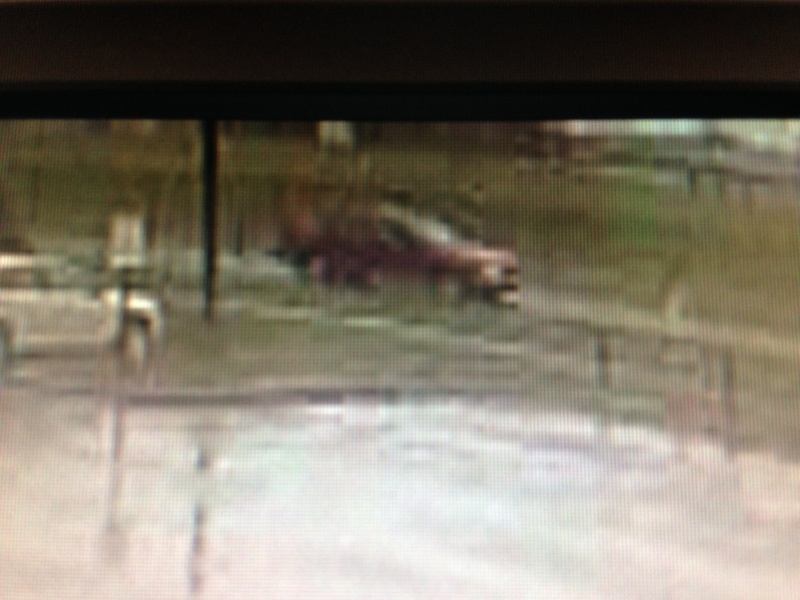 The vehicle then fled southbound on Saulsbury road. No injuries were reported at the bank. Images of the suspect are displayed below. Anyone with any information is asked to call 302-736-7111. Callers may remain anonymous. Tips can also be submitted to law enforcement through tip lines maintained by Delaware Crime Stoppers at 1-800-TIP-3333 or on-line at www.tipsubmit.com.